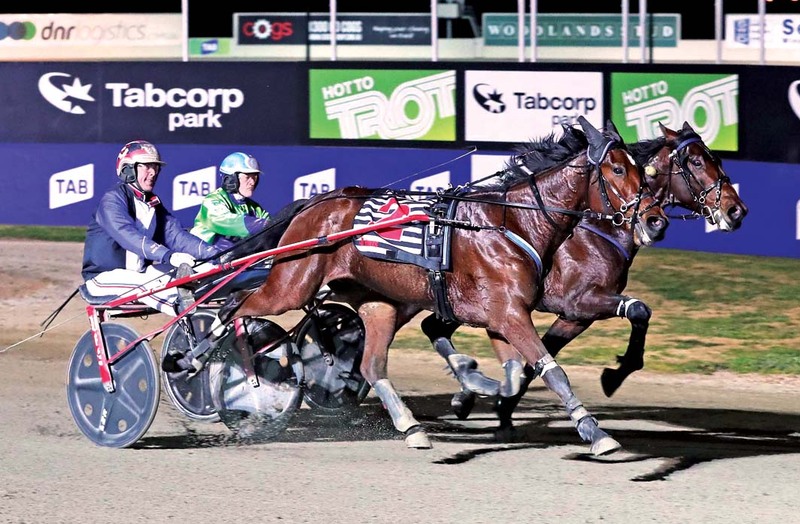 LIKE the majority of the field, promising youngster More Shades Of Gold faces an ‘acid test’ at Tabcorp Park Melton on Friday night. Winner of his last two starts, the gelding has indicated he is capable of contesting key majors such as the upcoming Victoria Trotters’ Derby this preparation. Hopeful the son of Majestic Son is heading towards the Blue Riband, trainer Nicole Molander is using The Holmfield as a guide to the remainder of More Shades Of Gold’s season. Should the three-year-old compete admirably Molander will target the Derby, but a poor performance will result in a change of plans. “He is coming along nicely” Molander said. “He’s just doing what he has to do and we are quite happy with that. “He keeps showing us a little more than what we expected each time he goes around, so he’s got to be given his chance to prove himself in a nice race. To be driven by master reinsman Gavin Lang, More Shades Of Gold has drawn barrier three, with one of his main dangers – Scallywag Sam – to begin from two. Prepared by Any Gath, Scallywag Sam is unbeaten from two Australian starts. “More Shades Of Gold has proven he can come out of the gate quickly, so hopefully he will settle in a good position from there,” Molander said.